If you’ve had a chance to poke around That Clever Clementine’s Etsy shop, you know she makes some super cute bags and notions pouches. A couple of years ago, when I was in Maryland for the Verdant Gryphon open house, I was lucky enough to get a peek at Vicki’s fabric collection, which, as she so accurately described, is pretty extensive. My eyes darted in amazement over the piles of brightly-colored cloth covering one of her guest rooms. I ended up having her make me this Snapdragon notions pouch, because I thought the fabric illustrated my work as a writer. I also later purchased some items made with fabric Vicki found on Spoonflower, a cool site that also lets you custom design your own fabric and wallpaper. 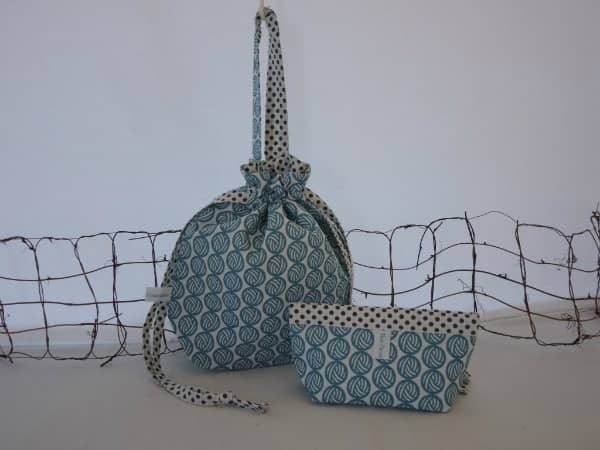 After I worked with my designer on the logo for Indie Untangled, an amazing idea came to me: I could design fabric with the yarn ball icon on Spoonflower, and have Vicki turn it into bags to celebrate the launch. So, that’s exactly what we did! This is a meaningful partnership for me, and I think it shows just how special and supportive the knitting/crafting world can be. Over the next two weeks, you’ll have two opportunities to win the larger Pandora Poke, a drawstring bag with a nifty swivel hook that you can clip onto your keys or scissors, or that you can use as a yarn guide (I often clip the bag to my jacket so I can knit while waiting for the subway), and the Snapdragon notions pouch. For a chance to win the Pandora Poke project bag, sign up for the weekly newsletter by filling out the form on the right (or any of the newsletter sign-up forms on most pages of the site), by 11:59 p.m. EST on Friday, April 18. If you’ve already signed up for the newsletter, you’re already entered to win! The winner will be announced on the blog and contacted via email next Monday. For a chance to win the Snapdragon notions pouch, become a member of the Indie Untangled Ravelry group and post to a particular thread (I will be starting the thread and sharing the details of what you need to post here on the blog that morning). You have until 11:59 p.m. EST on Friday, April 25, to post. Both winners will be selected by a random number generator. Vicki and I are also working out the details of selling these bags exclusively through indieuntangled.com. Stay tuned for more information on that and on future giveaways! 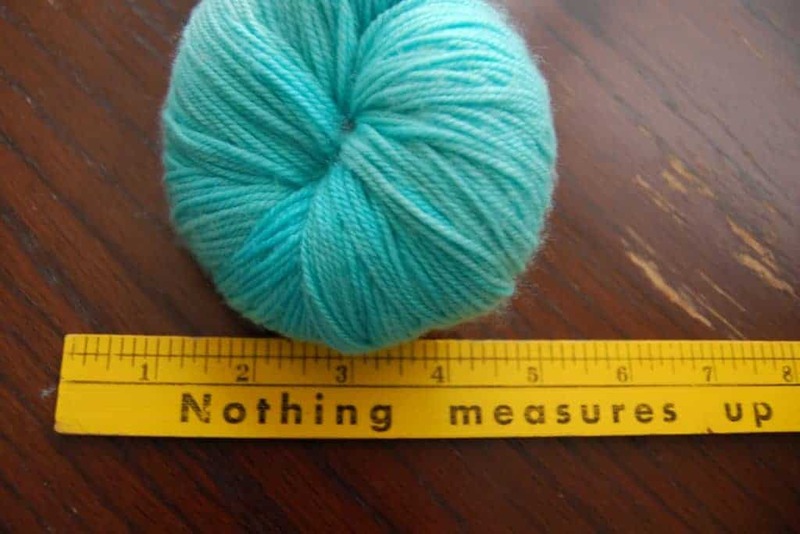 This entry was posted in Giveaway and tagged bags, free stuff, giveaway, newsletter, ravelry. Love the fabric and the shapes of the bags!